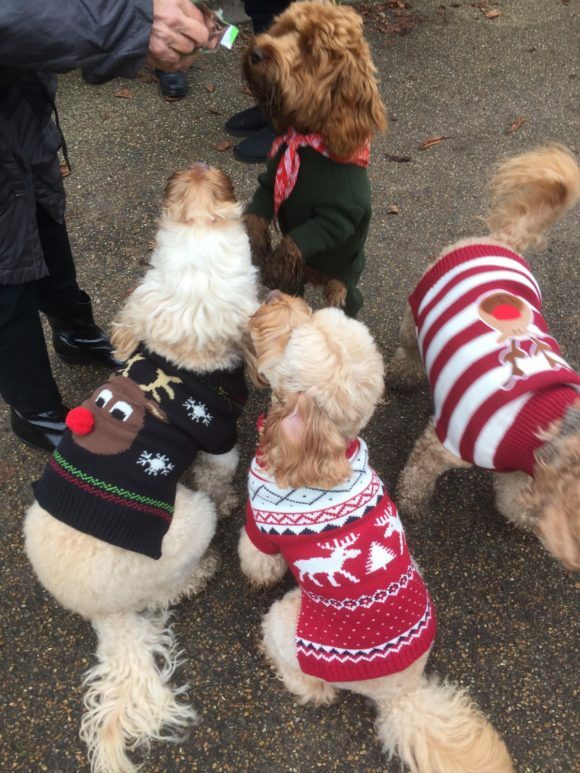 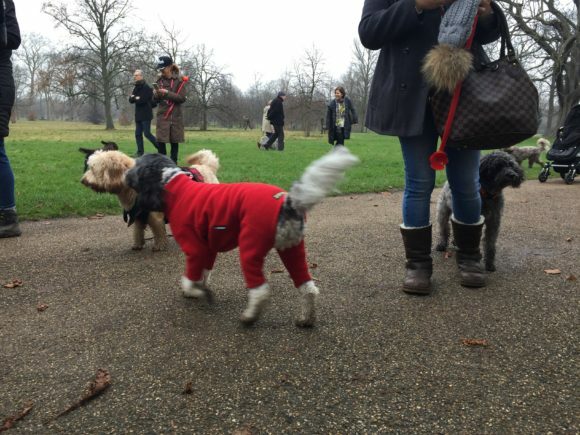 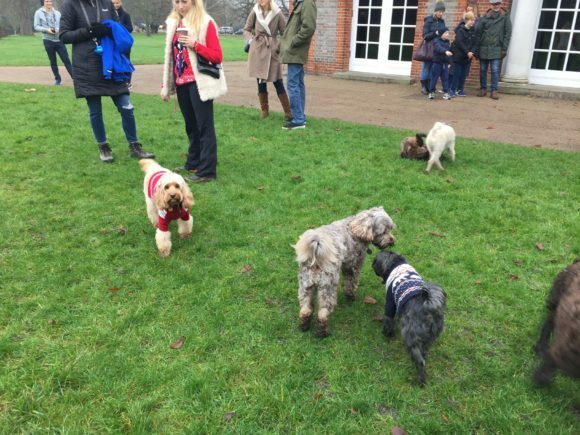 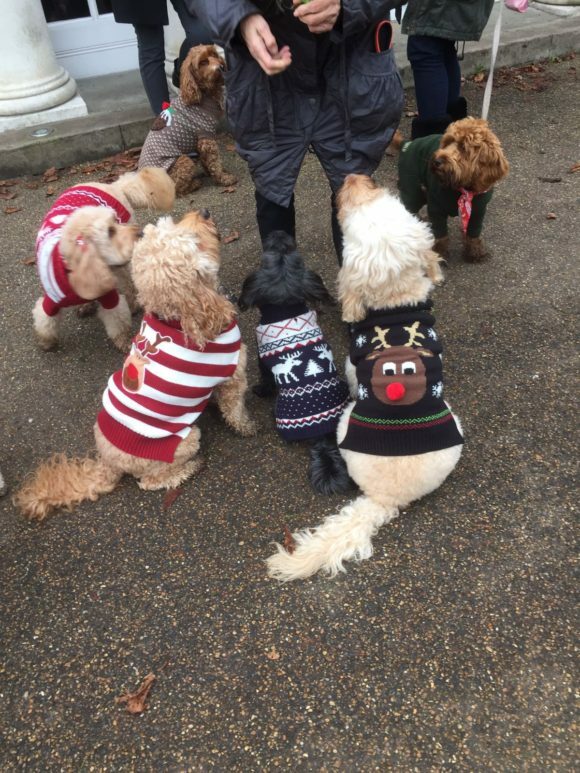 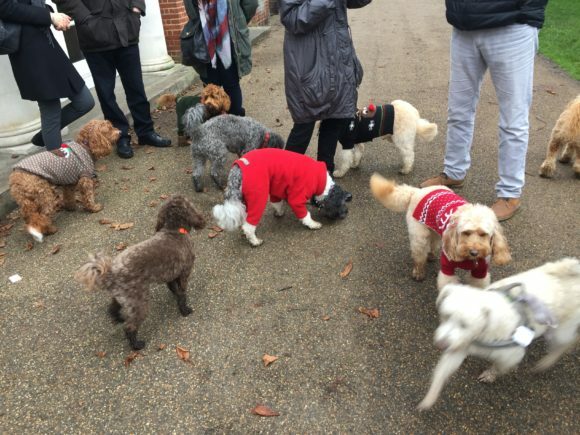 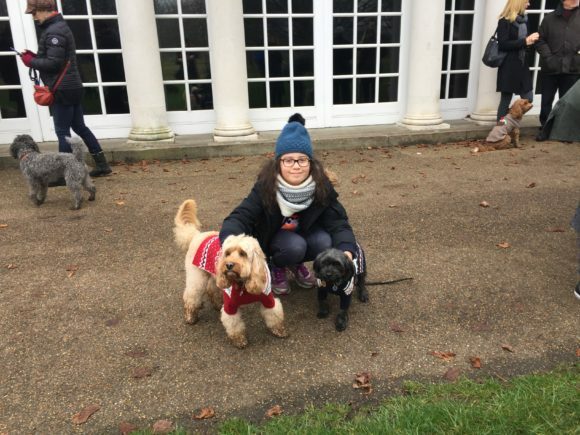 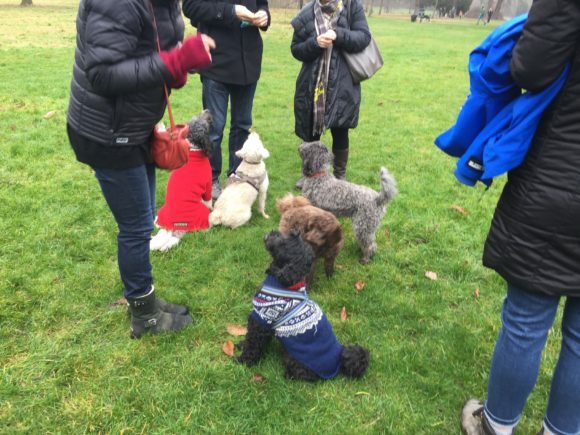 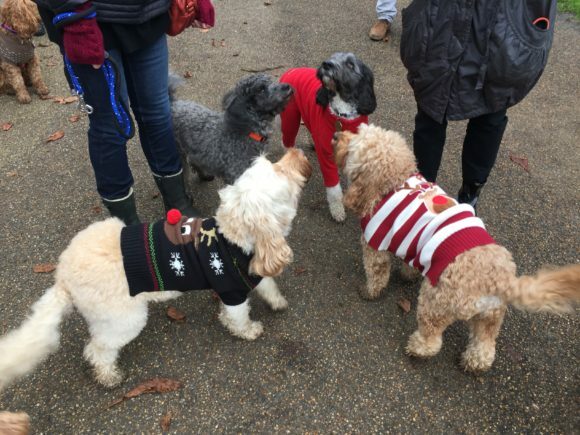 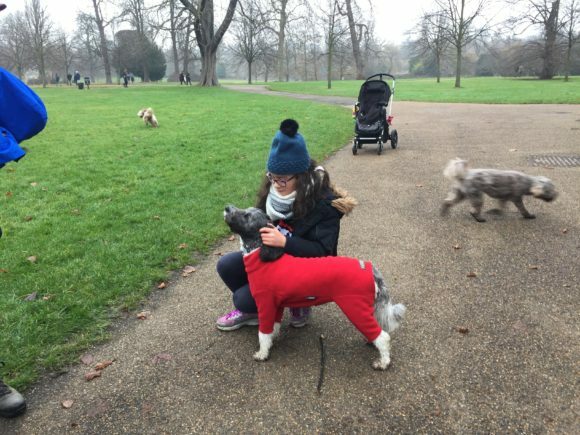 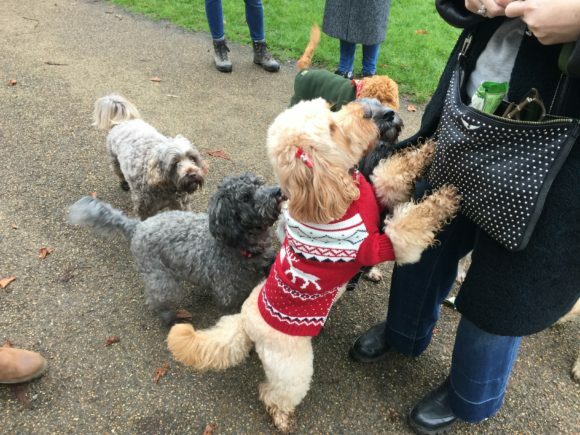 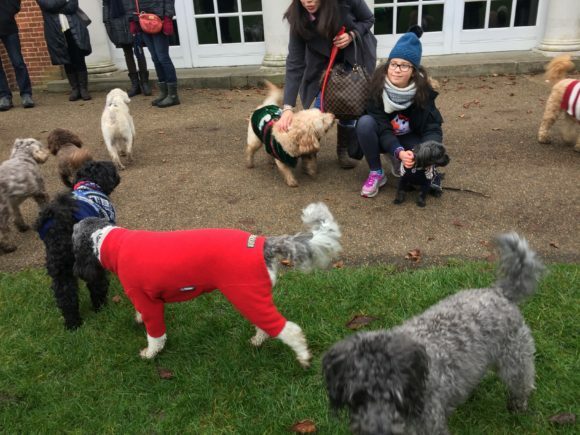 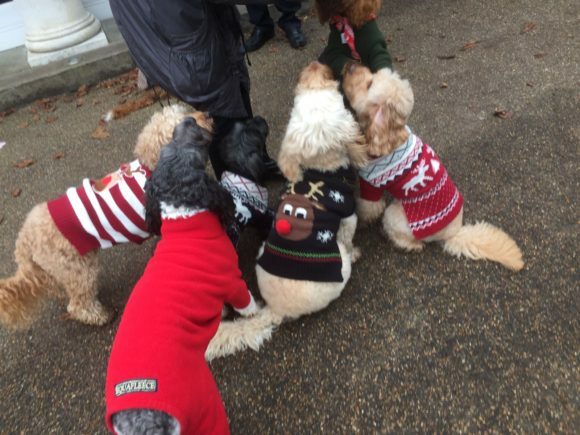 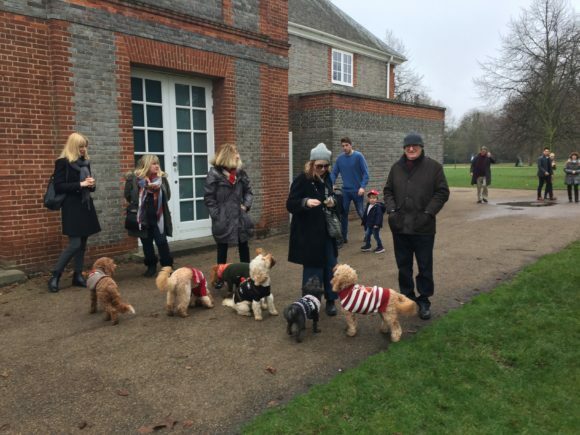 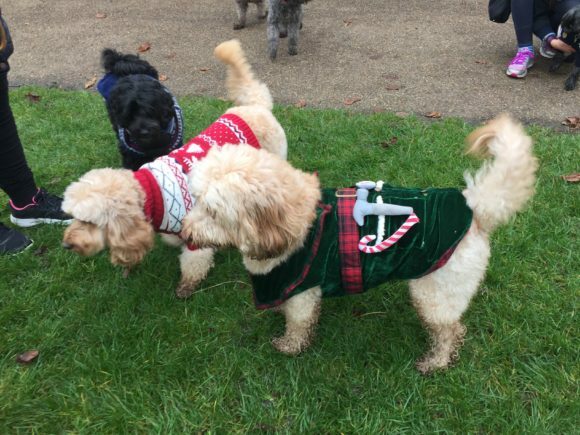 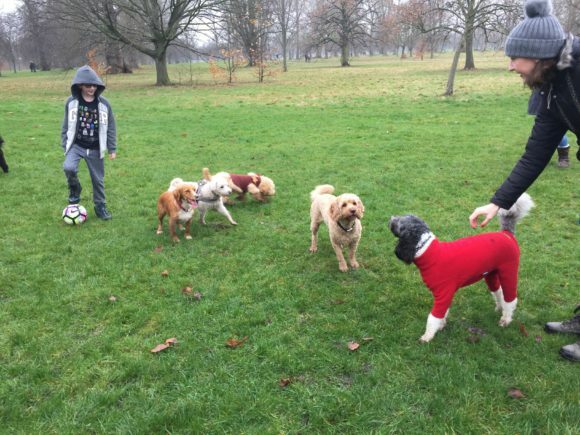 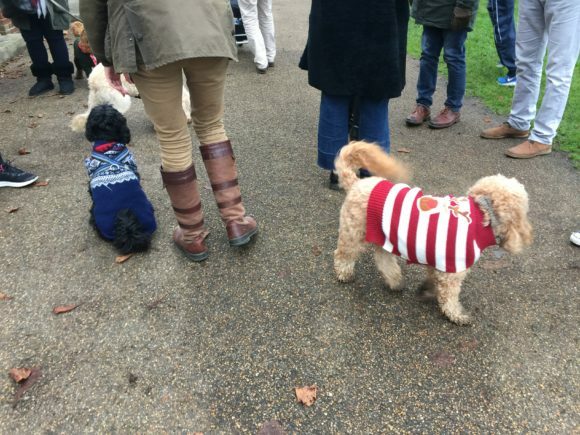 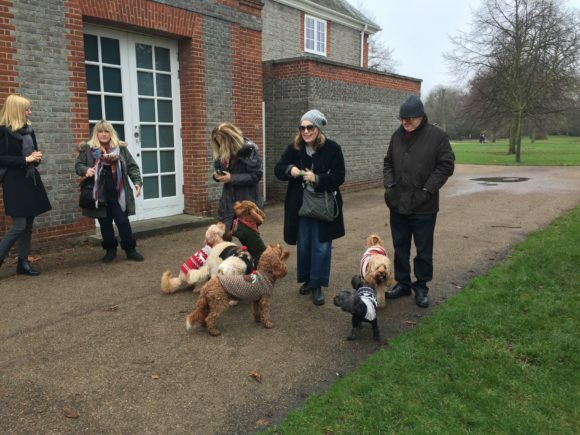 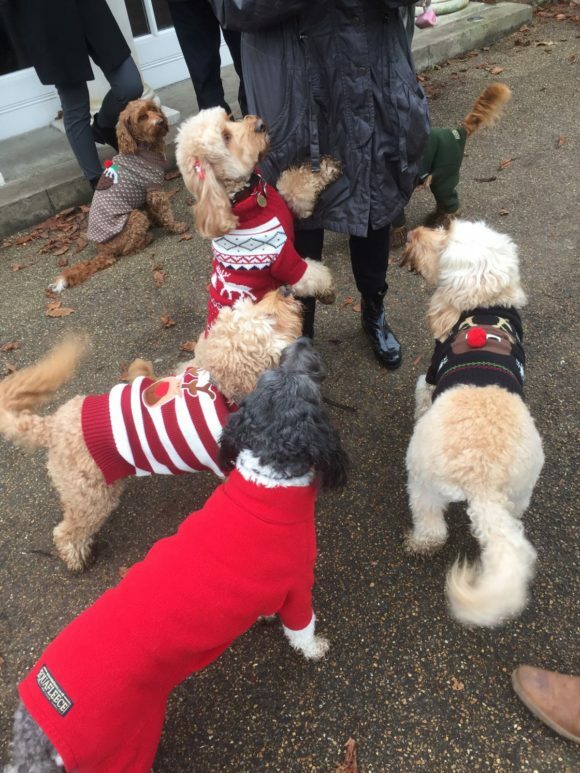 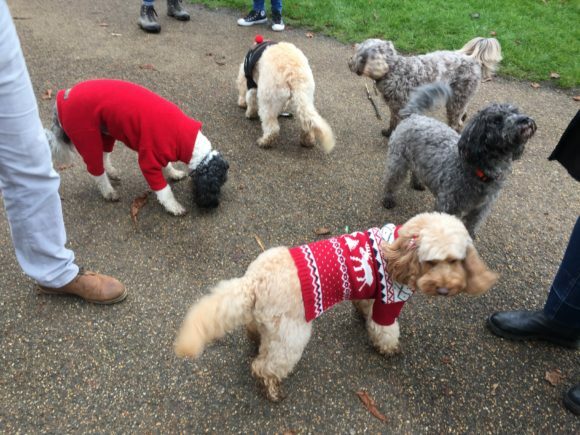 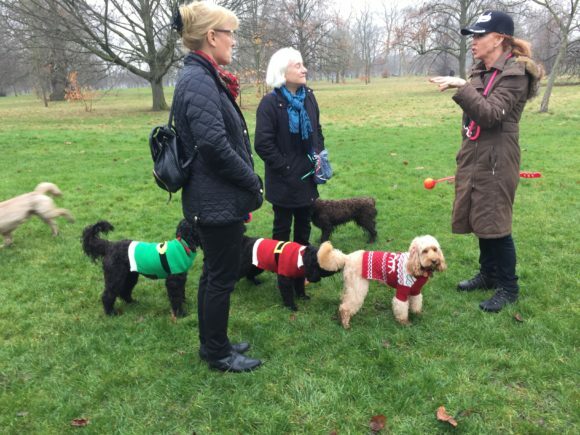 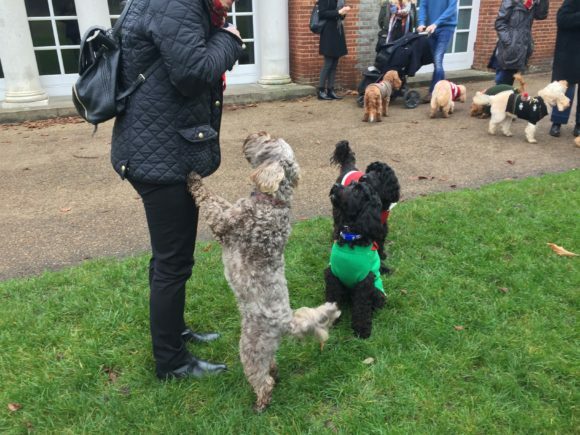 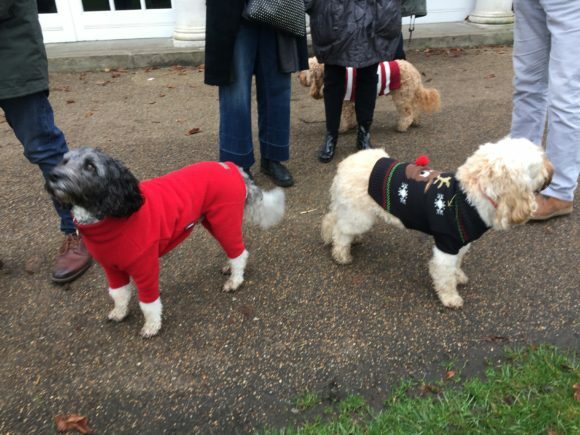 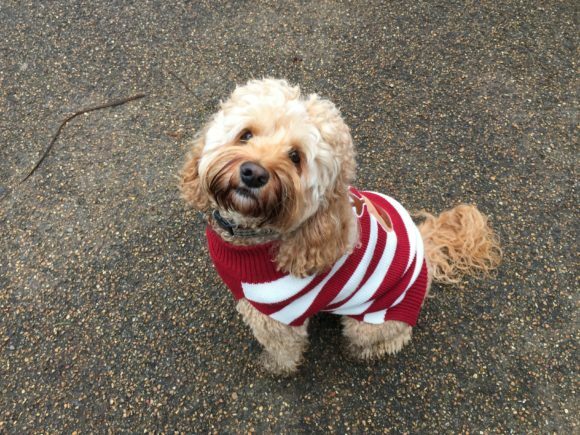 We wore our merry Christmas jumpers to our last Hyde Park doodle meet of the year! 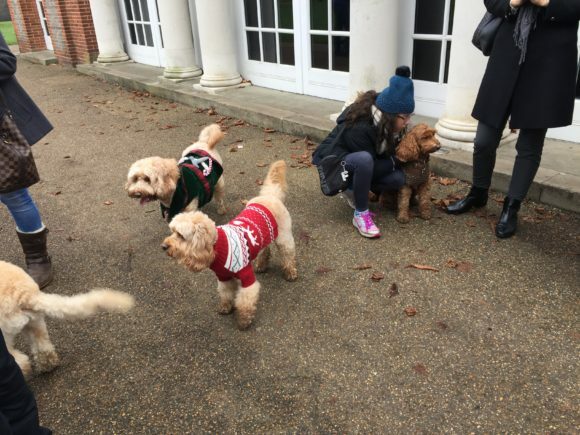 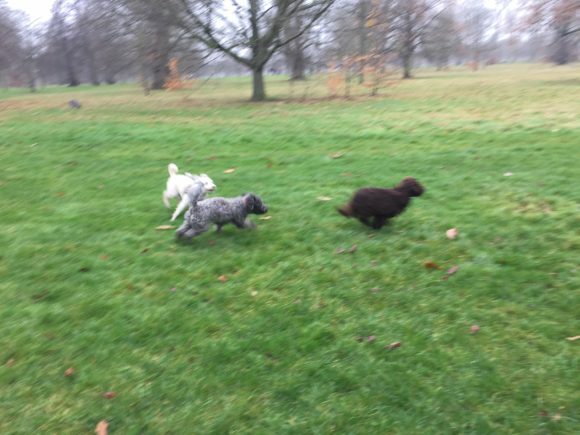 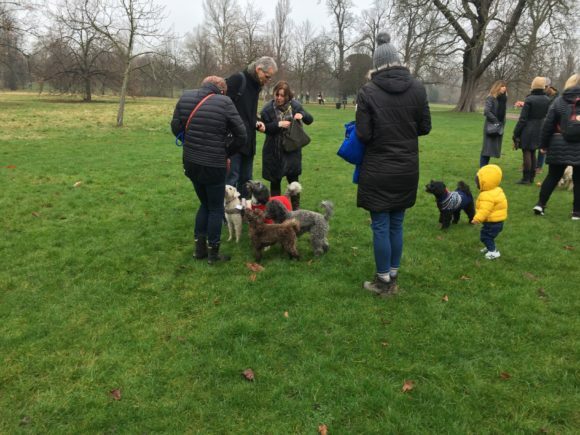 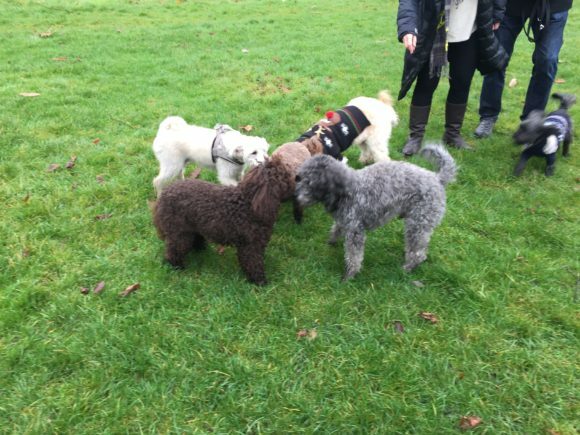 Missing from group photo: Uka (cocker Spaniel), Oggy (cavapoo) Puppy Venice (the apricot cockapoo) who could not sit still for a photograph Mila (poodle) – she’s the dog in residence at Lucio! 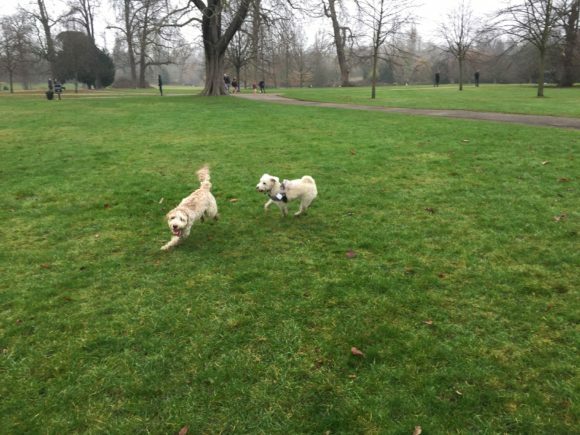 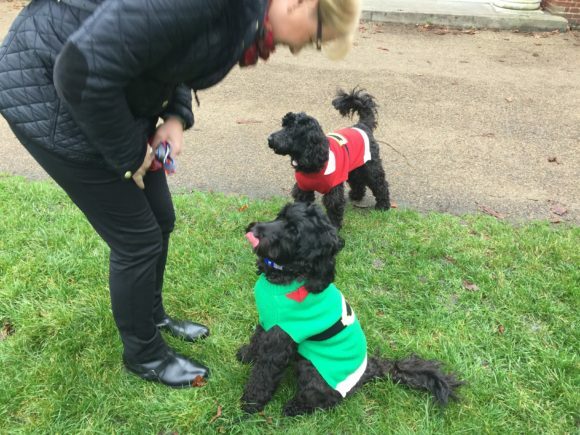 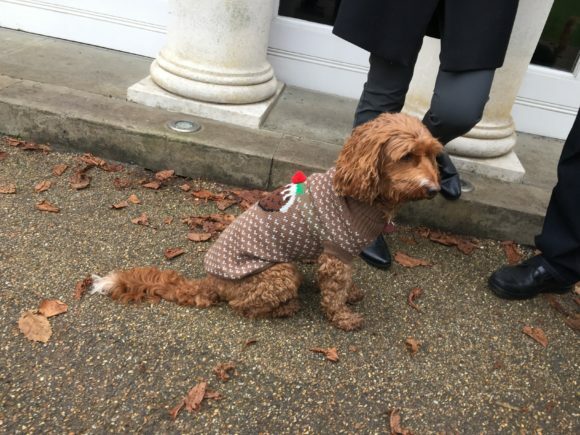 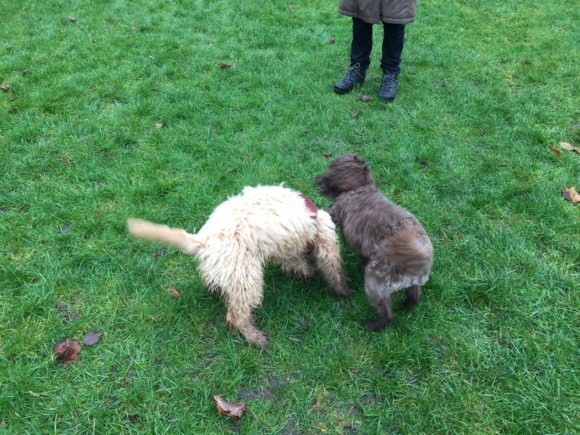 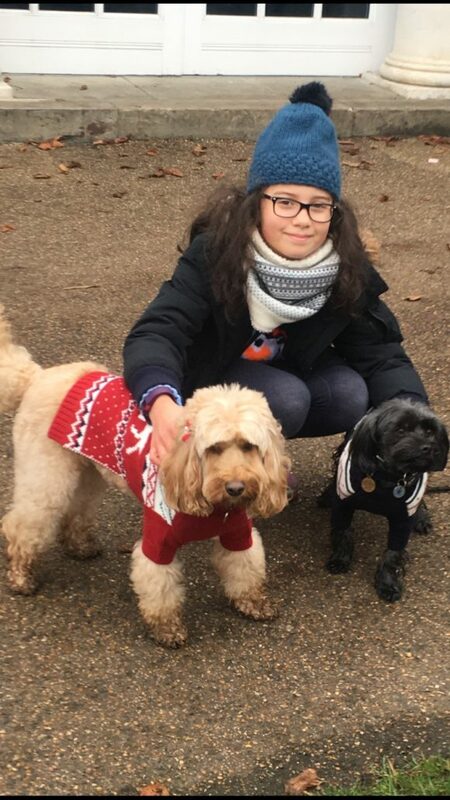 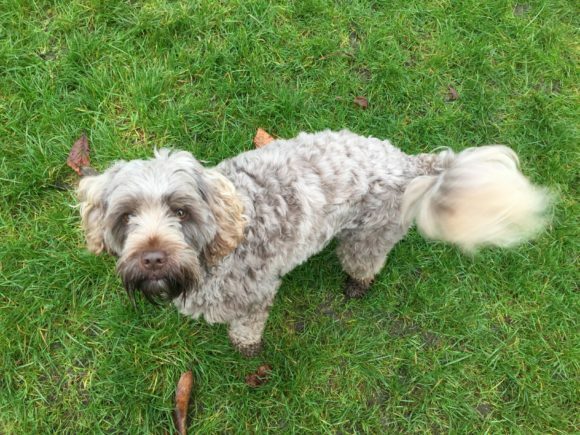 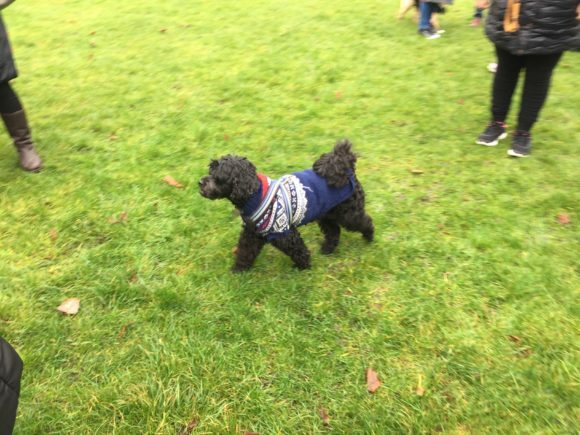 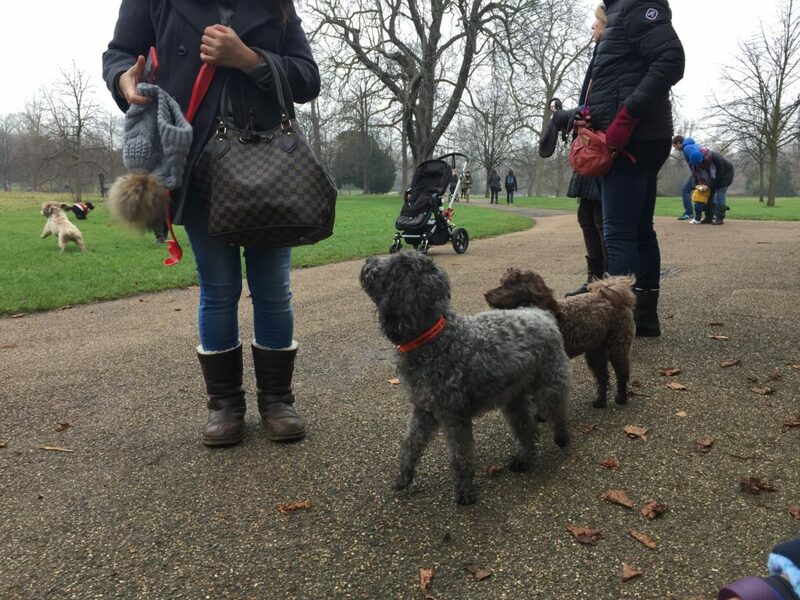 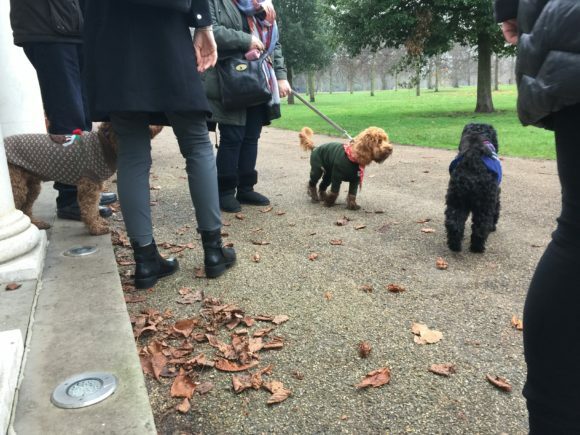 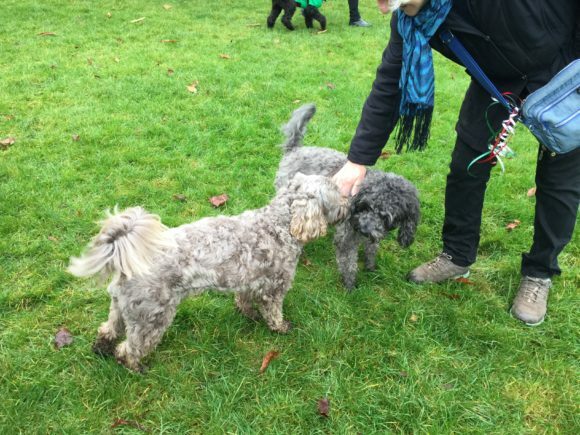 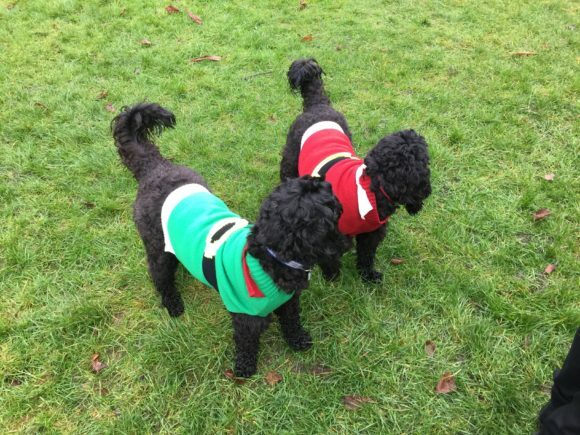 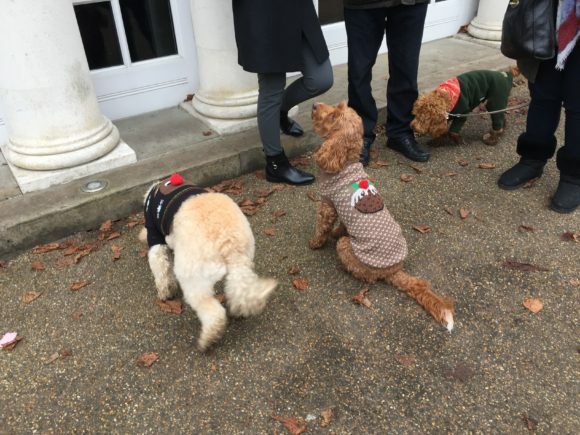 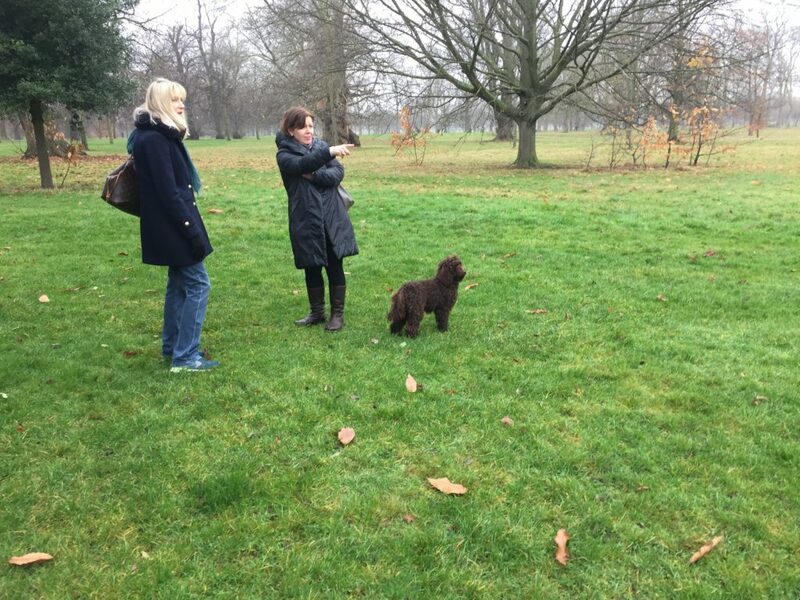 May’s comment: For me, the arresting visual impact of the Christmas jumper worn by Colin Firth’s Mark Darcy on Bridget Jones’s Diary was the first time I ever took notice of this “cultural imperative.” Since then it has become almost “cool” to wear one, so on that theme, we decided that on the last Hyde Park Cockapoo meet the doggies to wear Christmas jumpers! 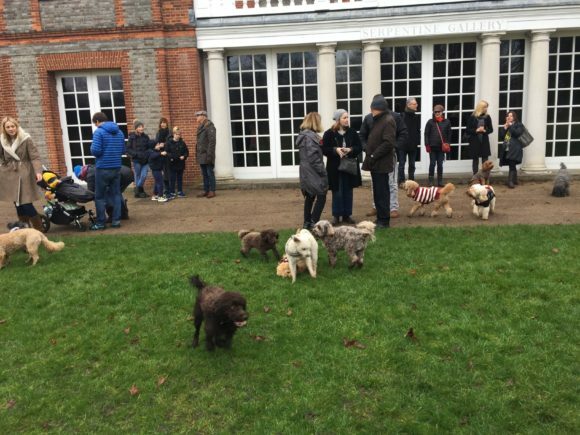 Good turn out. 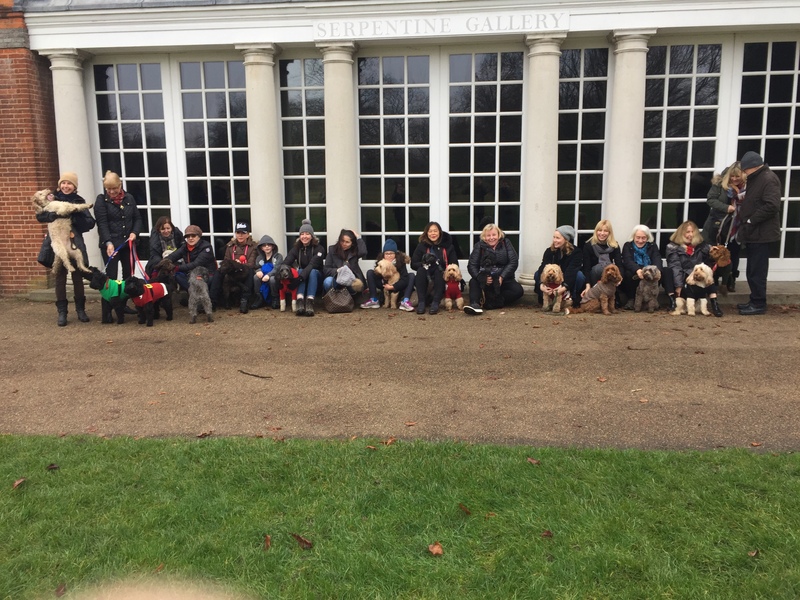 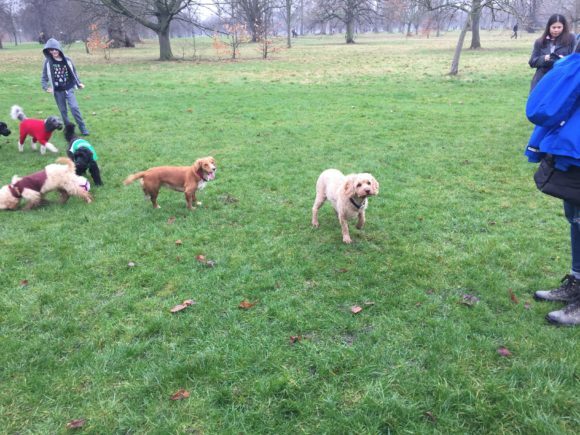 Our next meet will be the 29th January. 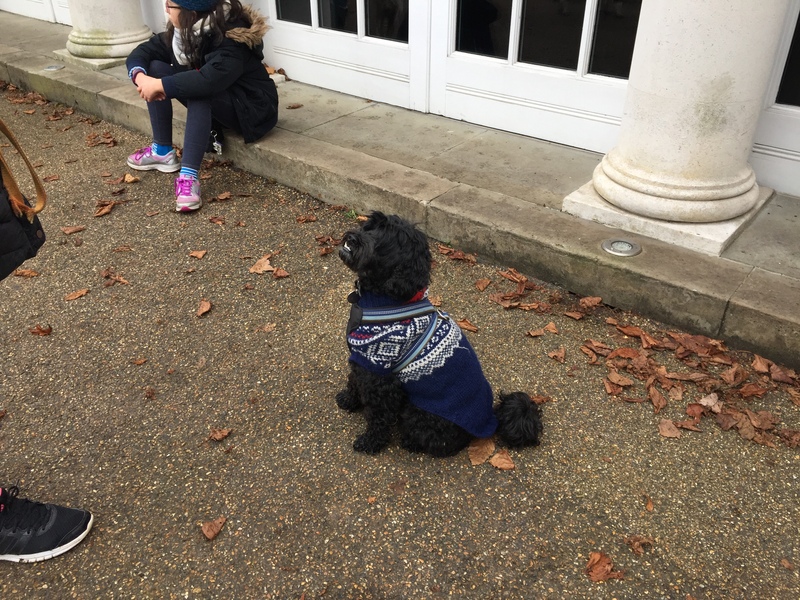 Till then – have a wonderful start to the New Year! 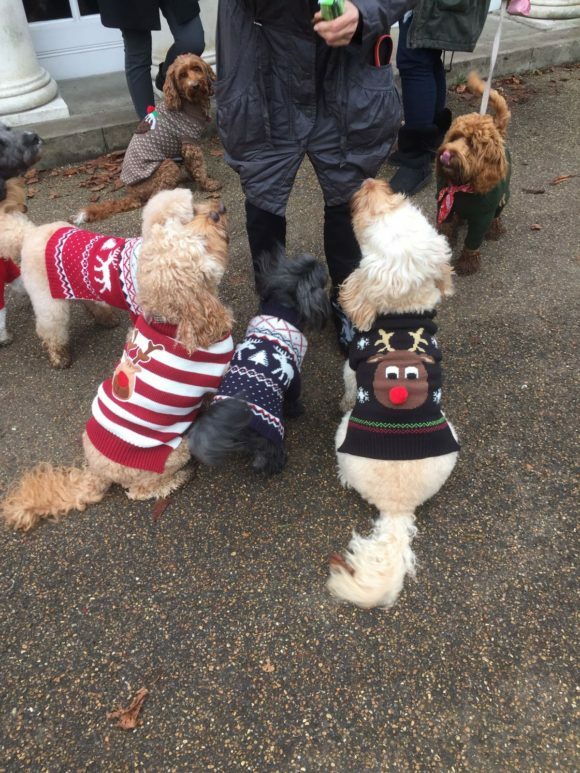 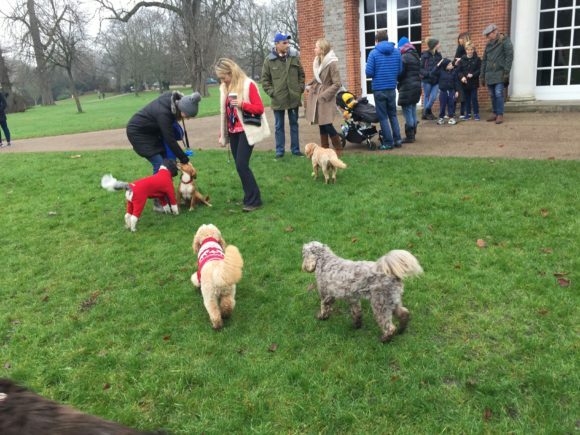 They all look so festive in their jumpers. 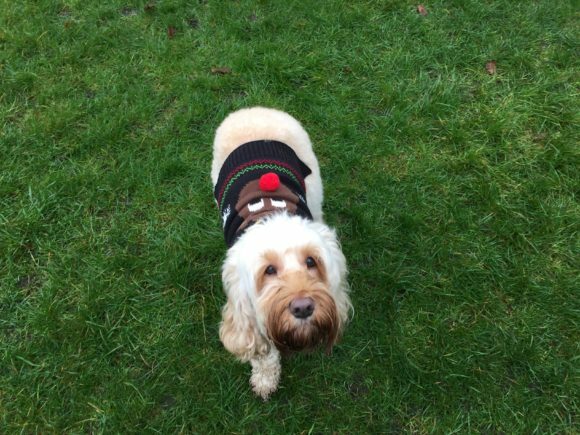 ← Fourth Advent Sunday means … it’s beginning to look a lot like Christmas!